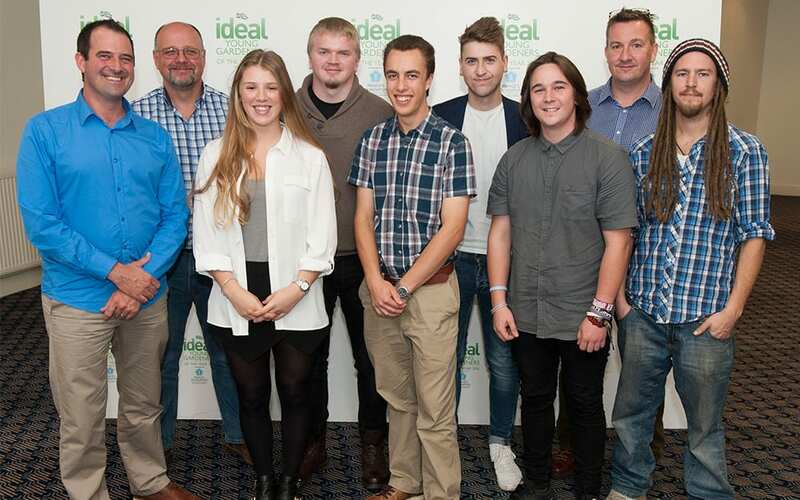 From left: Ben Wincott, Scott Downes, Francesca Le Maistre Banham, Joshua Kemp, Adam Newson, Sam Moore, Jack Anderson, Simon Watkins, Robert Band. Our garden is for an urban city space. There are high volumes of pollution in these areas so instead of growing foodstuff we will create a green space that reduces our dependence on mains water and helps to clean the air. 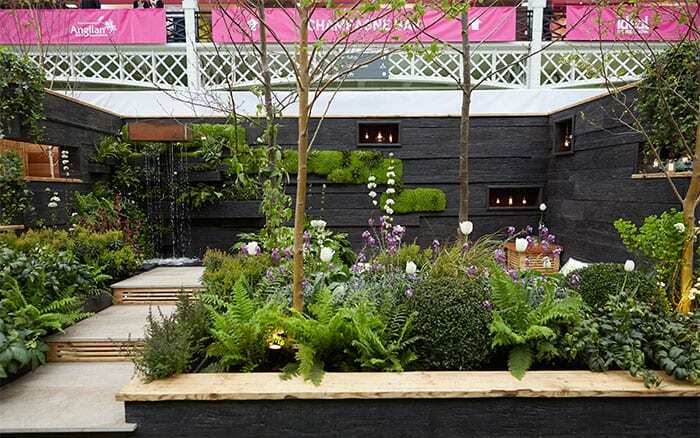 The garden has a woodland feel with clean lines and slick materials. What elements of the garden are sustainable? We are using millboard in place of a timber wall. This is a composite decking that is UV stable and needs no chemicals to preserve the material. This means it can be fully reused without unlocking the carbon. 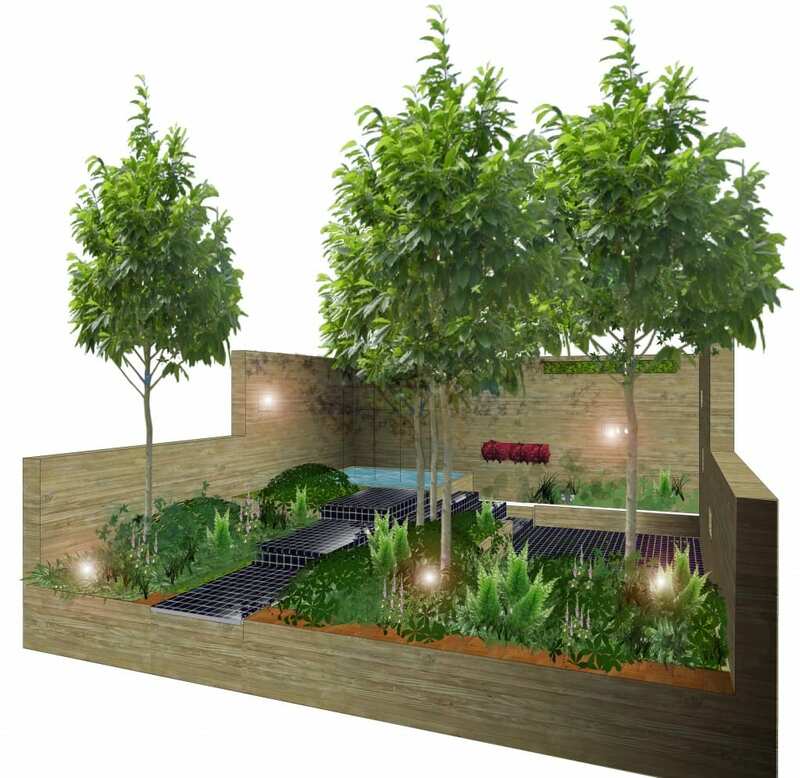 The trees and wood in the garden will help to make the space darker so we can use low-energy lighting as well as feature lighting within the walls. Sleek meets craft as we aim to use timbers sourced from Easton Lodge gardens. The style will bring a contemporary edge to our furniture with a log table and log seating as well as benches made from recycled scaffolding boards. How does the garden harvest water? We have a water feature, rain harvester and irrigation cycle in the garden. Water that falls onto the patio will run off into an underground tank which also collects excess water from the borders and recycles it. This travels to the flowing rainforest-style shower feature and then into the larger tank. This then waters the plants. Excess water eventually trickles into the lower patio collection area and is pumped up again. There is a gravel filtration system to prevent greening and dirty water build up too. Irrigation through the garden will be from a rill that flows around the planting areas and feeds irrigation tubes to the plants. Excess water will flow back into the patio tank area to be re-pumped up to the gravel filter. The sound of water movement from the feature and the rill will also offer an escape from vehicle sounds and noise of the city. This creates an oasis of green with the warm glow from the lighting to take you away from the urban environment. 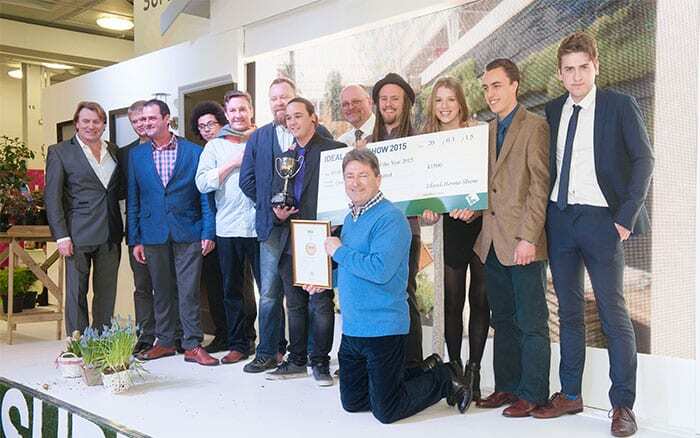 Why did you choose your planting scheme? The planting will have a woodland feel to it with plenty of ground cover plants and a range of shrubs. We will plant in the walls and to the top of the wall we will grow equisetum japonicum as part of the filtration system from the rain harvesting. The sole point of our planting is to filter and clean the air to reduce pollution in the urban environment. What’s your favourite part of the garden? Hopefully our feature wall with sculptural lighting, not to mention the log seats and timber table. There’s too much to choose from!